Many countries have condemned South Korea’s plan to begin killing whales along its coast in the name of scientific research. The proposal was announced at an International Whaling Commission meeting in Panama, and would allow South Korea a loophole around the 1986 ban on commercial whaling under the guise of doing it for “scientific research” purposes. Japan does the same thing, killing hundreds of whales every year in the Antarctic. However, the Sea Shepherd conservation group has made it increasingly difficult for hunters over the past two years, causing them to return with only a small fraction of their intended numbers. South Korea did not mention how many whales it planned to kill, but insisted that foreign approval was not necessary. 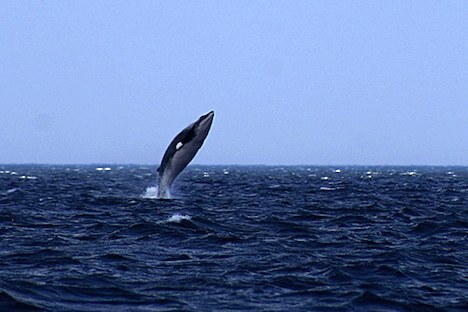 The delegation also added that minke whales along its coastal waters had recovered their loss in numbers since the ban went into effect in 1986. Despite claims by South Korean fishermen, the World Wildlife Fund (WWF) says there is no evidence that whales are depleting coastal fish stocks, a problem that is actually caused by overfishing. And despite claims that minke whales have replenished their population over the past 26 years, they are still considered an endangered species. Whale meat is a popular delicacy in some Asian countries, but is on the decline in Japan. Before the ban in 1986, South Korea caught about 600 whales a year and said most of the meat was consumed. Officials claim that the only whale meat sold now is from whales accidentally caught in fishing nets. By now, more countries are speaking out against whale hunting and expressing the importance of leaving these creatures alone. It’s not likely that countries will get away with it much longer if very few other nations in the world is on board. At least, we can hope that’s how it works.